What makes any day at the mountain better? Having an ice cold six pack of your favorite beverage with you for the chair lift ride. With insulated pockets made specifically to hold a cold six pack of cans, the 686 Sixer Jacket is ready to make your day more fun. Don’t let the Coors Light inspiration fool you, the Sixer Jacket is as much a technical piece of outerwear, as it is party machine. Staying dry is a key part of staying warm on the slopes. You need a jacket that keeps both the outside elements and your sweat, away from your skin. The Sixer Jacket uses 686’s exclusive infiniDRY 10 system to accomplish this. With a waterproof rating of 10,000mm, the Sixer Jacket is good for most conditions short of heavy rain on the slopes. What this means is with a 1 inch diameter tube placed over the fabric, it can be filled with water to 10,000mm (32.8 feet) high, before the pressure forces water through the fabric. The Sixer is also rated to 10,000g breathability, indicating that over 24 hours, 10,000 grams of water vapor can escape the fabric. In layman’s terms, this means that while water and snow from the outside can never enter, perspiration, can easily escape the jacket. While you should feel as cool as you look wearing the Sixer, you still need to stay warm. Insulation in jackets keeps you warm by creating air pockets to trap and retain warm air. Down does this very well because of its fluffiness (loft), but loses its fluffiness when it gets wet. Synthetic insulation is designed to act like down and create loft, but also retain its heat keeping qualities when wet. 686 fills the body of the jacket with 80 grams of their synthetic Polyfill insulation to keep you comfortable in a variety of weather conditions. The sleeves are insulated with 60 grams and the hood is also insulated with 40 grams. 686 and Coors Brewing Company collaborated to make a Coors Light inspired ski/snowboard jacket that has you looking as good as you feel after pounding a few ice cold cruisers on the hill. The Sixer has insulated front external pockets for cold beverage storage. There are also internal pockets that hold another four cans. Most importantly, there is an insulated, chest, Koozi pocket that keeps your opened drink upright and accessible for easy consumption. For when you are speeding down the slopes, the Sixer has mesh lined underarm vents to keep you cool as you heat up. A zip out powder skirt keeps snow out when things get deep. The Pant Jacket Connect System allows you to hook your favorite 686 pants directly to the Sixer jacket to create a union between all your gear that is impenetrable by snow. The 686 Sixer Jacket is a serious piece of outerwear, designed for you to ride and party hard. As always, you should drink responsibly and shred safely. 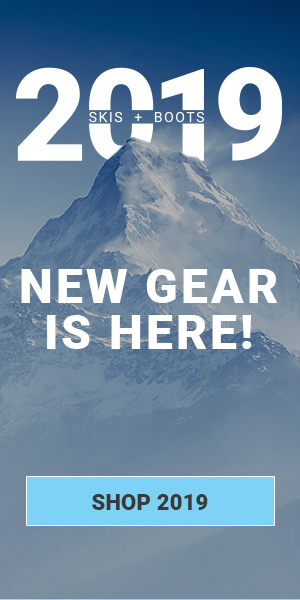 Find everything that 686 has to offer at SKIS.com, and as always be sure to subscribe to our blog below for the latest in all things skis.